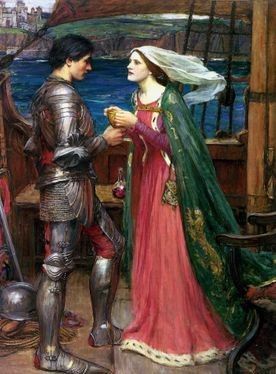 At times I feel that the fairy tale must be rescued – not by me, of course, since I am, according to Dear Husband, not a rescuer but a first-responder. I fully agree. By the time that any draft document or personal distress crosses my eyes or path, action of the urgent, fast, and imminent kind is required. I once contemplated a business card that said: “Editorial 911. Call for fast and thorough edits; prompt, precise and unparalleled re-writes.” As you can see, the sales pitch is too wordy. “Have Pen Will Travel” sounds better. That sensibility called to my mind those mind-numbing, nostalgic days when I worked in the nascent industry known then as “Word Processing.” Yes, I processed words into technical works of comprehension for not just the layman but for the engineer and geologist as well! 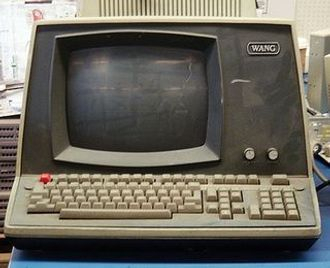 The harried, underpaid, overworked engineer/report writer invariably rushed into the huge office space that was filled with clunker digital devices and with harried, underpaid, overworked females, sitting in rows and typing away at the mammoth video display terminals. Clad in rumpled white shirt and maroon polyester pants that I called “tragic,” the engineer carried a stack of papers onto which were scrawled — from edge to edge, from end to end, and around the corners of each page — nearly illegible text. The off-color humor of the fact that we females each worked on a Wang was missed by me for many years, but my blithe naïveté only added to the off-color humor. I quietly informed her that I used to be part of the typing pool and that I swam quite well, especially the backstroke key. Today I approach the fairy tale with same sense of urgency! Let’s face it: The fairy tale has never been the same since Disney got a hold of it. And I do enjoy most of the classic, animated feature films, although as a child I was not permitted to watch them. I am thankful today for the prohibition. I was granted the opportunity to devise my own fairy tales. Let us fast forward to the 21st century. 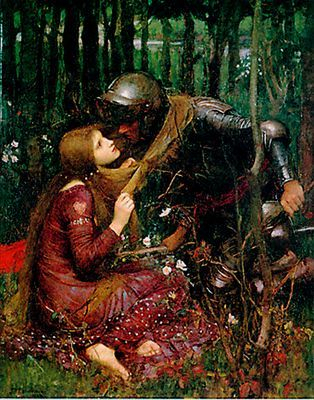 I’ve heard tales, true stories, about a university student vehemently voicing her outrage in a class on “Fairy Tales and Myths” (they are inter-related) because her Disney conception of fairy tales was being trashed, forever after marred by the real thing! Outrage, indeed! The need to fantasize and to spin sugared suppositions and magical worlds of fancy - that need or desire is as old as mankind and womankind. It’s the technological mangling of the fairy tale nowadays that haunts my days and nights. What is with all of the dragons and helmets and castles and swords and warriors on the big and little screens? I’m only about 5 or 6 years too late to this party about these medieval fantasy epics, but from the little that I have seen (and a little is all that I want to see), there’s an awful lot of technological twisting of the tales going on! Initially, I thought that maybe it was I who had the problem - I do not know who any of these characters are! It turns out that even the people watching (the viewers) don’t know! They cannot keep track of it all! Was this confusion intended? Is the convoluted crazy plot intentional? And how about names for the characters? Hello? Goodbye! The collision of action tale and fairy tale has eliminated the tale. In its origins, the fairy tale was called the “fairy.” Before that phase, however, there were the French and the Anglo-Saxon peoples. Their tales have somehow become Cool-Whipped (Frozen!) with Old Norse runes and Teutonic legends. The situation has become grimm. Puissions-nous retourner au français ? May we return to the French? Je suis sûre qu'ils seraient chaleureusement d’accord. I am sure they would heartily agree. The majority of French literature from the 12th century was written (or composed since the oral tradition was still in force) by aristocrats in the Anglo-Norman dialect of French. This language was the parlance of the common folk which was still a step above slang. 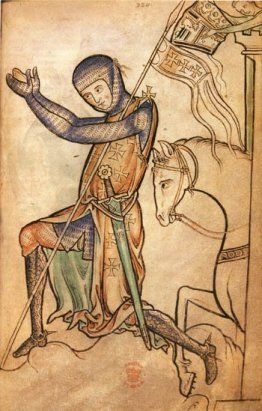 William the Conqueror conquered more than mere land in 1066. He and his Normans influenced the English language forever. That deed was probably not deeply contemplated. It was nonetheless not an easy feat for any culture or country. When the language of any nation goes, so does the nation. 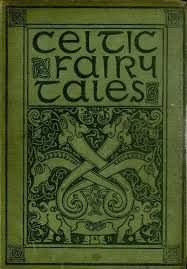 The aristocrats within the Anglo-Norman realm of the 12th century highly enjoyed Celtic legends, those tales and stories that had been told and retold for centuries by storytellers while they were on the road, carrying out their various ways of life and work (and play). Thomas of England, Chrétien de Troyes, and Marie de France. Thomas of England composed a powerful, theatrical version of “Tristan and Isolt,” a tale of doomed adulterous love that has many versions. All follow the same bleak overwrought path to death. the element of water. There’s tons of it! It’s huge; it’s vast; and it threatens to overpower and overwhelm! high water, deep water, dark water, wide swaths of water, quickly moving water, raging waters, all of this water rushing at MiLady, along with various water features (but no water park or water slides or sun splash!). And all of this H20 foretells danger or death or both. Droughts evidently did not occur during the Middle Ages. Plagues, however, did! Marie de France wrote a series of short romances, brief narrative stories in verse that she called “lays.” These stories originated with the Bretons but through the inventive mind of this woman, the tales became something else: highly individual, highly original, refined, and profound. Marie de France thus became the pre-eminent writer of the Middle Ages. 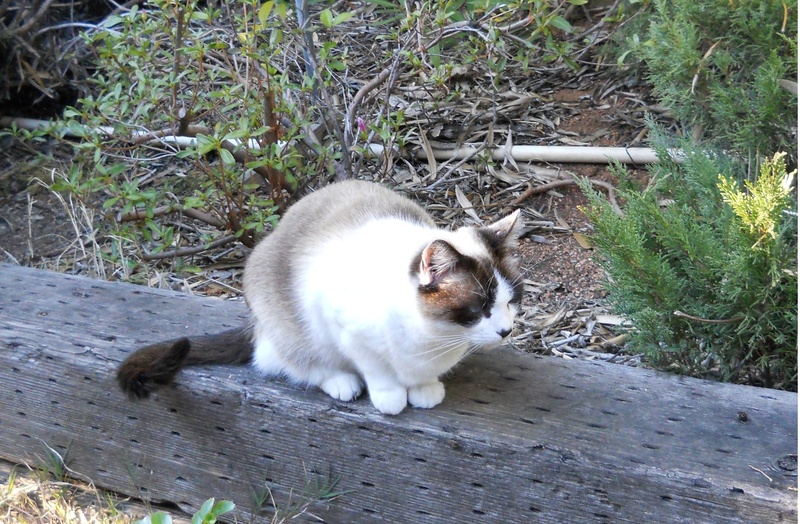 Little is known about her and I suppose she would have wanted it that way. 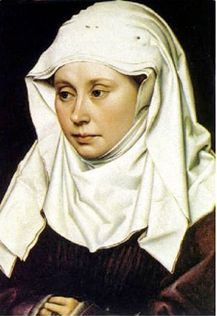 She was the only female writer of the medieval era, of the genre, and of any current renown. 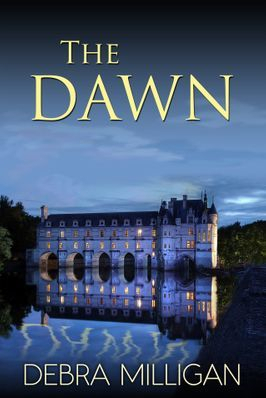 Her lay, “Lanval,” weaves a wondrous tale of magic and mystery about the mortal lover and the fairy bride, even though the word “fairy” is never used in the story. She illustrated in her vivid poetry emotions of both males and females, the passions and feelings of vastly different designs and textures. She wrote about various kinds of love, including joyous love and sorrowed love, good love and bad love, love that spurs growth and love that denies fruition. Her endings differed in many ways within her lays: blissful, tragic, tearfully grievous, heart-rich with ardor and tenderness. Her writing was not formulaic nor did it fall into any pattern. Those three writers of the 12th century were the creators, innovators, and purveyors of the genre known today as “romance.” The French word, roman, was originally used for a work of writing in the French vernacular. Over time, the word came to mean “romance,” a story about love and adventure. Much later, Fabio came upon the scene - a highly degraded, flamboyant scene. The term, fairy, initially meant something dangerous, perhaps deadly. In that sense, the moderns have returned the word to its original intent, but I’m not sure if it is by intent! 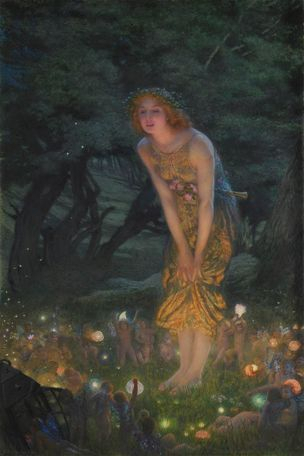 Fairies in the Middle Ages were not the charming, delightful, whimsical creatures that the Elizabethans of the 16th century devised for a rather innocuous literary purpose. The medieval fairy was from another world. It was supernatural, often dangerous, and always in possession of magical powers that could just as easily and willingly doom a human as rescue him. And the fairy always vanished whenever a human saw him, much like the Leprechaun who is now a lucky charm. Not so in the medieval age! The fairy cherished his privacy! I therefore hypothesize that the current craze for 21st-century fairy tales of epic fantasy is an urgent attempt by the beleaguered citizenry of various nations to rewrite their narrative tale; to envision adventure beyond the digital screen of dreck and data; and, quite inventively, to claim some semblance of autonomy over lives that have become regulated, taxed, surveil-lanced and snooped into with more and more technology and less and less grounds (physical and moral) every passing year. That literary bridge to every year of the 21st century was constructed without many thanks to Thomas of England, Chrétien de Troyes, and Marie de France. I thank them now, with a humble reverent curtsey and a bow. Once the World of Disney got its mouse paws on the fairy tale, the genre was smothered. The medieval action epic with supernatural elements (monsters, dragons, spirits and ghosts) gave way to overblown fantasy films and fiction that blow away the spectator with blaring sound, glaring sights, plot confusion, and bright lights coming to even more confusion. 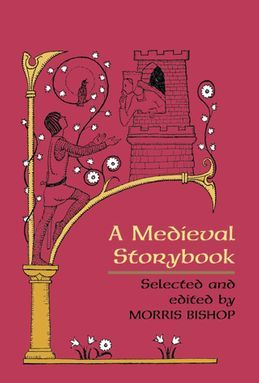 The vital tales and vitality of the medieval poets moved man and woman from the folk tale to the fairy to the fairy tale and, perhaps, even to the castle that one mouse built. That castle is now under assault by the turbo-techno tales of macho males and fainting, fawning, far-from-flat-chested females. Far be it for me to defend the fairy tales of Disney, but they are beginning to look quaint in their approach to story-telling. 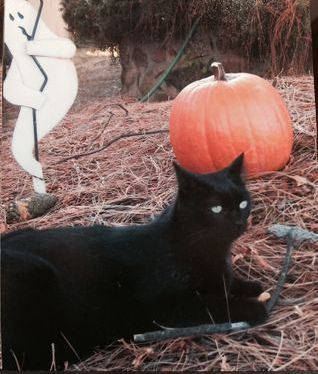 A black cat must be introduced into the storyline (narrative structure) - it’s urgent!